Velv Wine Oxygenator review: Can a $300 gizmo instantly improve your plonk? The wine world has no shortage of gadgets designed to improve a wine while it moves from bottle to glass. Most of these work along the same principle as traditional decanting: The more your wine sloshes around between the bottle and the glass, the more its flavors open up and become more accessible. The gadgets work in lieu of a decanter, and most of them are handheld aerators that rapidly mix air into the wine as it pours from the bottle. The Velv Wine Oxygenator is a little different. Rather than imbue your wine with ambient air, it uses replaceable canisters to diffuse “99.5% pure oxygen” into your wine. The mechanism is quite simple, and involves no electronics. A long wand extends from a chunky base: You screw a small oxygen canister (similar to a standard CO2 cartridge, but smaller) into the base and dip the wand directly into the wine bottle. Turn the switch to on and oxygen slowly diffuses down through the wand and into the wine, with tiny O2 bubbles percolating into the juice. Isn’t oxygen bad for wine, you ask? That’s why it is sealed, after all—to keep oxygen out, as oxidation is what ultimately turns wine into vinegar. Well, a little oxidation can be a good thing, giving a wine more maturity and complexity. A few minutes of oxygen, in theory, could very well be good for a wine that’s initially tight and closed off. In fact, commercial wineries commonly use micro-oxygenation—essentially the same process that Velv undertakes but on a much larger scale—in various stages of wine production. Velv offers some guidance on how long you should leave the diffuser in the wine, ranging from two minutes for a Riesling to nine minutes for a Nebbiolo. When finished, you can taste the oxygenated wine against an unadulterated sample saved from the bottle after your original uncorking, and determine for yourself what a difference “PureOxygen” makes. I tried Velv with nearly a dozen different bottles to experience its impact firsthand. I tried it with old wines and young wines, domestic wines and foreign wines, good wines and bad wines, red wines, white wines, and even a rosé wine. The honest results: With few exceptions, I didn’t find any improvement in the wines I treated with the Velv device, and in a few cases I found perfectly good wines were rendered undrinkable. In a nutshell, the Velv approach is rote simplification: It simplifies wines down to their basic components, softening tannin and bitterness, and letting pure fruit muscle through. In some cases, this isn’t necessarily a bad thing. On a bottle of Zinfandel, for example, what modest tannin the wine had to begin with was stripped down, letting the pure fruit of the Zinfandel grape express itself more clearly. With a sweeter style of wine like Zin, this isn’t all that terrible, but the extra fruit does come at the expense of complexity. 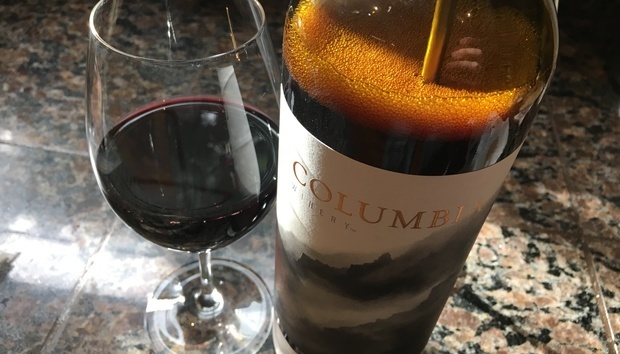 With other wines, like a Cabernet Sauvignon, losing so much tannin was a disaster: Every bit of toughness and astringency was removed, leaving behind a wine that was pruny with sweetness. The Velv had less of an impact on white wines, though you’ll find that highly acidic wines like Sauvignon Blanc can get over-sweetened the same way reds do. Naturally, every palate is different, and in a few instances my wife (also a wine aficionado) found that some of the Velv-treated wines were more approachable than the untreated versions. These tended to be cheaper wines, and I had relatively neutral opinions when comparing their before and after samples. Ultimately, the best I can say is that some palates might prefer some wines that are Velvified. My hunch, however, is that these will be few and far between—though if you’re merely looking for straightforward, sweet and fruity wines, this device could massage some inexpensive wines in the right direction. As a final note, be aware that Velv ain’t cheap. The device itself is $300 (with one oxygen capsule). Each capsule is good for five to 10 wines, and replacement capsules run $25 per two-pack. That’s a huge amount of money to spend on any kind of aeration system—and no one in the world who buys cheap wine is going to spend $300 on a gadget to make it taste a little bit better.